Our fun meerkat printables will delight any fan of these cute creatures. 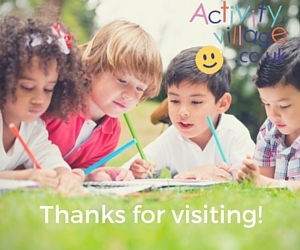 We have a learn to draw printable, poster, jigsaws, bookmarks and more to keep children busy. Here is a fun picture puzzle featuring our cartoon meerkat. Children need to copy the missing parts of the picture onto the grid, paying careful attention to the complete picture on the right. Kids love meerkats! With our simple, printable step by step guide they can learn to draw their own cute meerkats to remember a day at the zoo, for an African Animal project or just for fun. 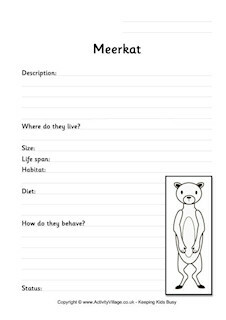 Print and fold this little booklet and use it for the kids to store meerkat facts in! Folding instructions are here. Copy our funny meerkat picture from the left grid to the right grid, counting and copying square by square if that helps. Animal loving children will have fun making and putting together this meerkat jigsaw. 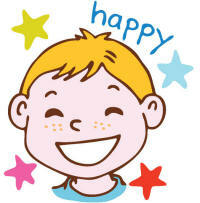 The first step is choosing a cutting template, which you can vary according to the age of your child. Meerkats live in hot and arid conditions in families of up to 50! This poster would make a great addition to a display of desert dwelling animals. Who could resist writing a letter on this cute meerkat writing paper? And who wouldn't love to receive it? Print this fun meerkats scene card onto white card or good quality paper, and fold in half - that's it, you've got an instant greetings card! Here's a perfect poster for a display about meerkats or African animals! For the best results, print using the borderless settings on your printer.